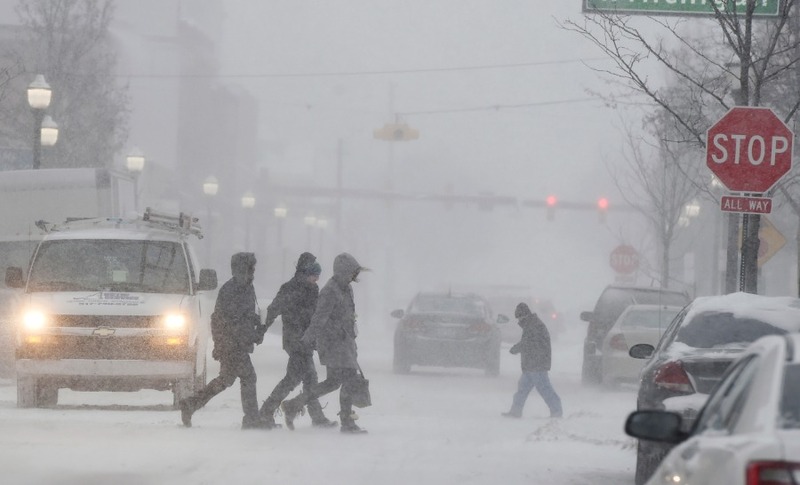 People walk through a snowstorm in downtown Jackson, Mich., Monday, Jan. 28, 2019. Francis and Cohen are regularly featured in news stories alleging a link between melting Arctic sea ice and U.S. cold snaps. The two scientists published a study last year claiming cold snaps are more likely when the Arctic is abnormally warm, but their work suffered from serious flaws. Namely, it did not test any hypothesis nor did it try to establish causality between global warming and cold snaps.